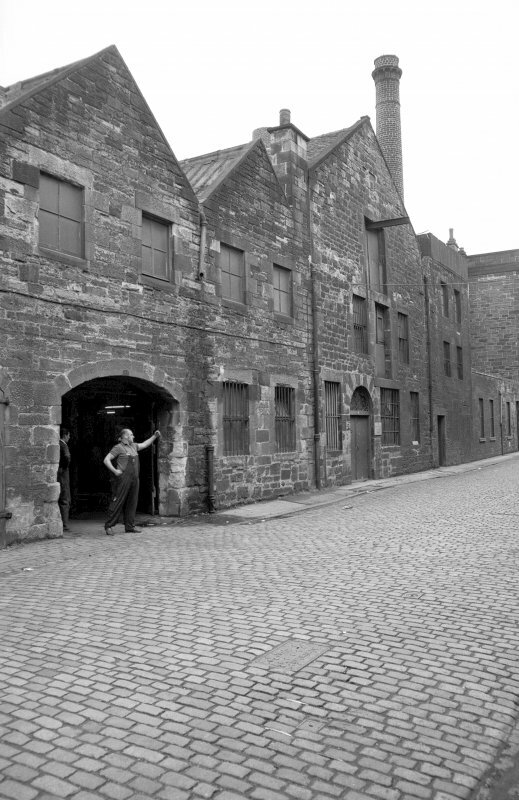 Mitchell Street takes its name from the merchant who, according to Town Council minutes acquired land between Constitution Hill and Leith Links in 1778. 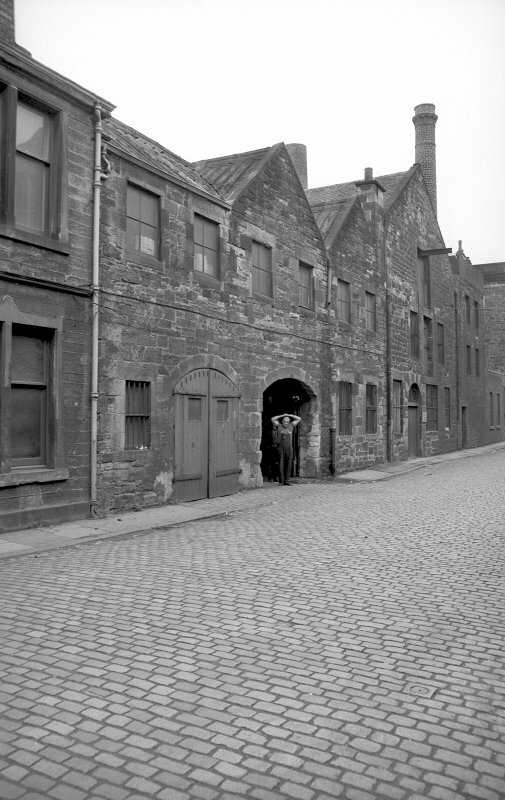 By the late 18th century there is already a property at what became known as 44 Mitchell Street. By 1806 there is a new building near the New Church in a part now occupied by the Mitchell Street works. Details in the building (especially of the joinery) seem to indicate that the building is somewhat earlier than the map evidence indicates. Such stylistical evidence can be misleading and may be due to mature carpenters and joiners using old pattern books. By 1820, the land on which no. 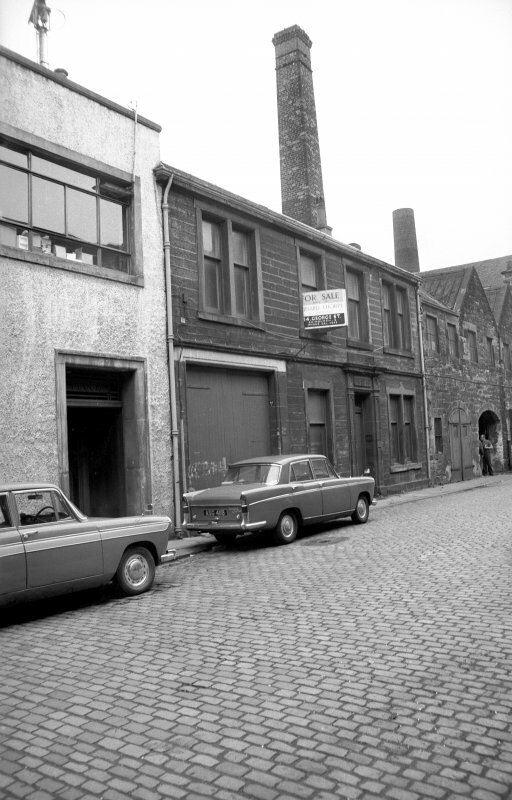 44 Mitchell Street stands belonged to a Mr R Coldstream. Corn merchants occupied the site (nos. 44 and 61 - the alternative entry to no. 44) in the 1850s and 1860s. By 1875 a lead pipe manufacturer (Thomas B Campbell) occupied the site and may account for the apperance of the building as it is today. Heavy machinery and floor loading increase influencing the space we see today. Campbell's used the site until 1967 when bought over by Sankey. On the ground floor of the buioding there was a furnace for smelting scrap and the rolling mill. This machinery was removed in the 1950s. All lead sheet was then brought in from external contractors. Part of the ground floor and all of the first was used for storage. The machinery for working sheet zinc and machinery for pipe pulling was on the top floor. The sheet zinc machinery was taken to Sankey;s new premises in 1979 and was still in use in the 1990s. Box 5, album no. 49. Unavailable at time of upgrade 19.11.1999.